October 19, 2010 (KATAKAMI) — Chinese President Hu Jintao said Tuesday that China and Russia should make joint efforts to achieve common development and combat global challenges. While meeting with Chairman of the Russian Federation Council Sergei Mironov in Beijing, Hu urged the two countries to work for the establishment of a more fair and rational international order. Mironov’s visit, which ran from Oct. 17 to 19, was another high-level visit on the heels of Russian President Dmitry Medvedev’s three-day state visit to China last month. 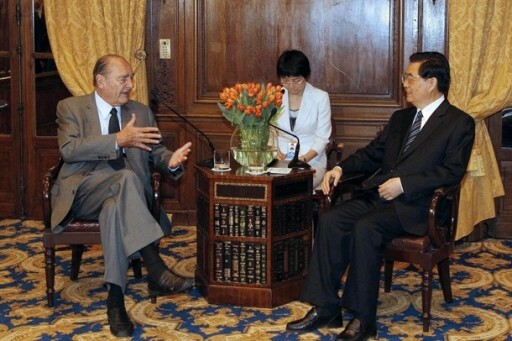 “China is willing to work with Russia to materialize consensuses and tasks agreed to during high-level visits,” said Hu. 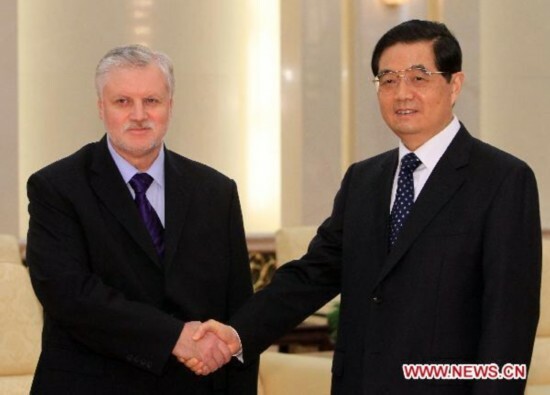 Mironov on Monday co-chaired with China’s top legislator Wu Bangguo the fourth meeting of the cooperation committee between China’s National People’s Congress and the Russian Federation Council, a regular parliamentary exchange mechanism for the benefit of bilateral ties. Hu said China supports the increasing exchanges between legislative bodies of the two countries, hoping the two sides could help publicize the ideas of generational friendship and reciprocal cooperation, push forward pragmatic cooperation in various fields and cooperation on adjacent regions of both countries. Hu also said the two countries should enhance coordination within multilateral mechanisms in a bid to contribute to improved China-Russia strategic partnership of coordination. 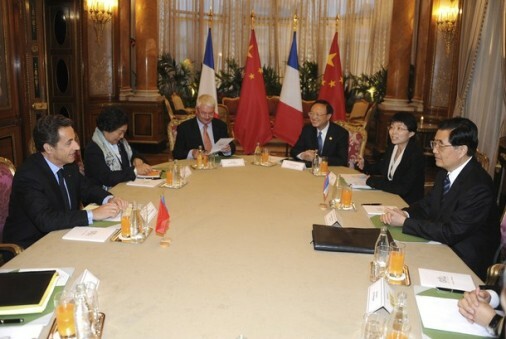 Echoing Hu’s remarks, Mironov said the sound development of Russia-China ties complies with the mutual interests of both countries, adding that Medvedev’s successful visit, during which the two countries signed a package of deals and agreements, would have a positive impact on future bilateral cooperation. The Russian Federation Council will play its due role in facilitating bilateral cooperation in such areas as politics, trade and energy so as to make new contributions to the friendship between the two countries, Mironov said. 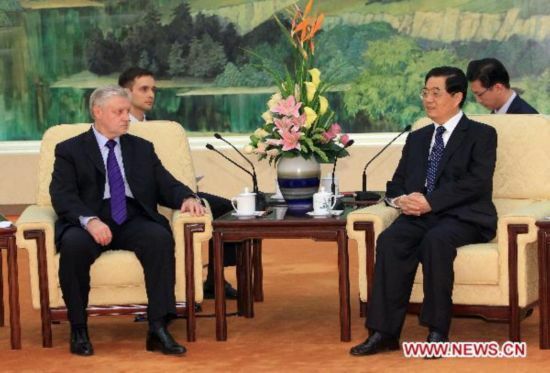 Premier Wen Jiabao also met with Mironov later on Tuesday, and called on the two governments to fully implement consensuses reached by the two sides, inject new vitality into the two countries’ modernization process and maintain world peace and stability. “The profound changes of the international situation has not only offered precious opportunities but also brought forward higher request for developing China-Russia strategic partnership of coordination,” Wen said. October 19, 2010 (KATAKAMI / Reuters) – All 37 missing and trapped miners in China’s latest colliery disaster have been confirmed as dead, state media reported on Tuesday. 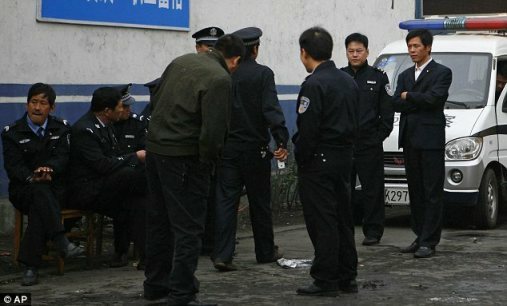 The gas leak occurred early on Saturday morning in a pit owned by Pingyu Coal & Electric Co Ltd based in Yuzhou city in the central province of Henan, although 239 people escaped. 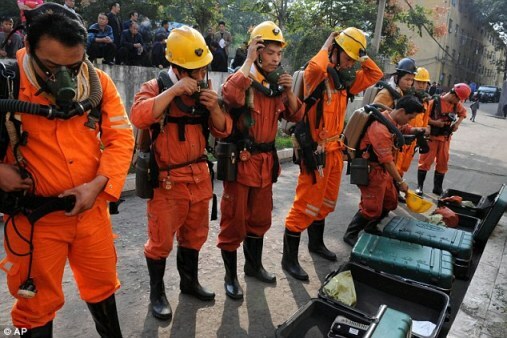 Rescuers had said they expected there to be little chance of any missing miners being found alive and have now found the last five bodies, state news agency Xinhua reported, bringing the final death toll to 37. Another gas leak in 2008 at the same mine killed 23 people. The accident occurred after Chile’s dramatic rescue of 33 miners trapped for more than two months underground. China’s mines are the deadliest in the world, due to lax safety standards and a rush to feed energy demand from a robust economy. 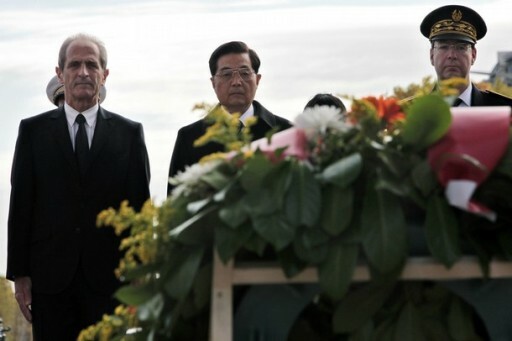 More than 2,600 people died in coal mine accidents in 2009 alone. Chinese Vice President Xi Jinping has been promoted to a key post in the Communist Party’s military committee, confirming his image as the anointed successor to President Hu Jintao, who is expected to step down in 2013. 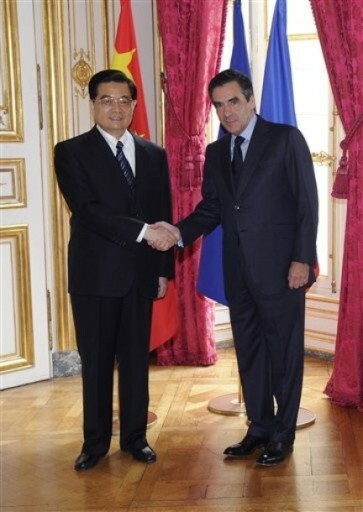 October 19, 2010 (KATAKAMI / FRANCE 24 / AP) – Chinese Vice President Xi Jinping was promoted to a key post in the Communist Party’s military committee Monday, affirming his path to be the country’s leader within three years. The son of a party veteran, Xi (pronounced “she”) has employed success in earlier jobs, along with family and political connections, to become the party’s sixth-ranking leader. 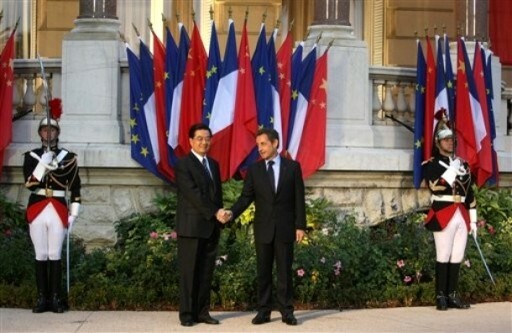 He has been viewed as the anointed successor to President Hu Jintao, who is expected to step down as party chief in 2012 and as president the next year. Analysts see the 57-year-old Xi as a consensus choice at a time when Premier Wen Jiabao has been calling for unspecified changes to China’s one-party system and other leaders have harshly denounced any moves to adopt Western-style democratic institutions. In addition to promoting Xi, the ruling party’s governing Central Committee also pledged to make “vigorous yet steady” efforts to promote political restructuring, the official Xinhua News Agency and state broadcaster CCTV reported. They cited a document issued at Monday’s close of the committee’s annual four-day meeting. No specifics were given, although party leaders routinely call for administrative refinements to shore up one-party rule. Xinhua gave few details about Xi’s long-expected appointment to the Central Military Commission that oversees the 2.3 million-member People’s Liberation Army. Xi’s appointment to the party’s military commission, and an identical one on the government side, has been viewed as a necessary step in preparing Xi for the top office. “Barring anything unexpected, Xi will be taking over as party leader,” said Ni Lexiong, a professor at Shanghai’s University of Political Science and Law. The 11-member commission already has two vice chairmen and is chaired by Hu, who had also been its only civilian member for the past five years, allowing him to consolidate his influence over the military at the expense of political rivals. The reports indicated the commission was being expanded to 12 members rather than Xi replacing one of the current vice chairmen. Without a transparent electoral process, the party utilizes such appointments to show that the succession is going ahead smoothly and predictably. Although the precedent is thin, Hu had been made a vice chairman of the military commission three years before taking over and Xi’s failure to receive the position last year had sparked speculation that the succession process had stalled. In addition to affirming Xi’s path to the top, his appointment strengthens the party’s absolute control over the military in a repudiation of calls for the People’s Liberation Army to become a national army under government, not party, leadership. It also stands as a show of unity among party leaders amid speculation about possible divisions over the scope and pace of political reform. Being the son of a party veteran firmly places Xi in the camp of the “princelings” – politicians whose political connections and degrees from top universities have won them entry into the country’s elite. 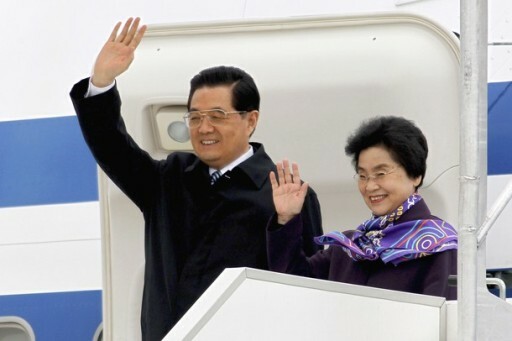 Princelings often vie for position with the followers of former leader Jiang Zemin, who is believed to still wield considerable influence behind the scenes. 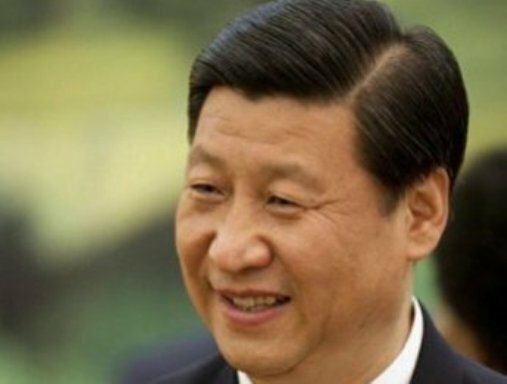 Xi built his career working in the wealthy eastern provinces of Fujian and Zhejiang, and served briefly as party chief of Shanghai before being elevated to the all-powerful nine-man Politburo Standing Committee in 2007. While Xi is not believed to be Hu’s first choice of successor, his rise illustrates the party’s overwhelming desire for balance and consensus, said Joseph Cheng, head of the Contemporary China Research Center at the City University of Hong Kong. “Hu may have other preferences, but rocking the boat and changing the plan is too risky and the cost too high,” Cheng said. There are also other key positions to be filled, and Hu is expected to want to influence those appointments to retain sway after he leaves office. preparations for a new generation of leaders. The plan, covering 2011-2015, includes a greater focus on public services, promoting employment, strengthening the social security system, and better access to public health care, state media said. China’s economy has boomed over the past three decades, but unevenly so. Hundreds of millionaires have emerged while the urban poor struggle and development in the vast countryside lags. 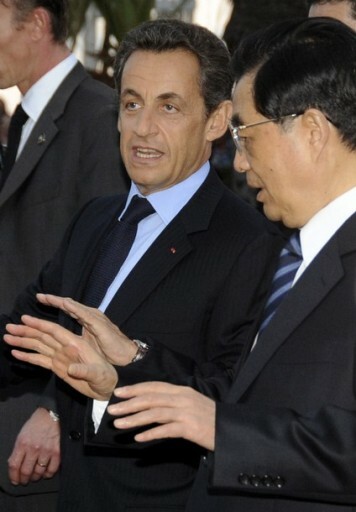 Besides the wealth gap, leaders of the 78 million-member party also have to deal with a public dissatisfied with rising inflation, high housing prices, employment woes among college graduates, endemic corruption, while Tibetan and Muslim regions of western China are held in check by a smothering security presence. Abroad, China is facing criticism from the U.S. for its currency and trade practices and its support for North Korea and ties with Iran. October 17, 2010. 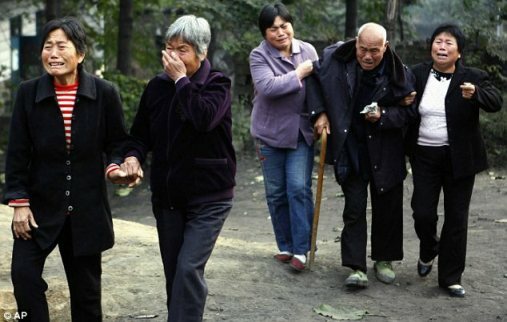 (KATAKAMI / DAILY MAIL.CO.UK) — Dozens of anxious relatives and friends of 11 miners trapped underground by an explosion in central China gathered outside the site today as rescuers battled tons of coal dust in a bid to reach them. 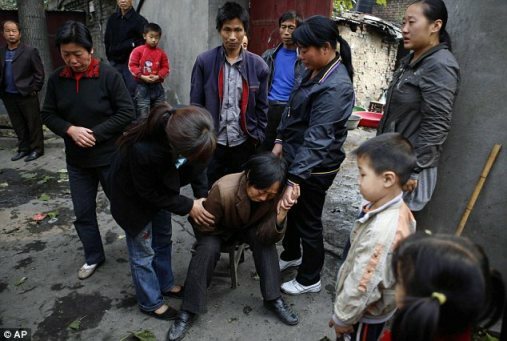 The number of miners confirmed dead rose by five to 26, state media said. China’s crisis happened as the world was still celebrating Chile’s successful rescue of 33 miners trapped for more than two months. Chinese media had detailed coverage as the Chilean men emerged to cheers. Some in China asked whether their own officials would make as much of an effort in a similar disaster and be just as open about the progress of rescue efforts. Yesterday’s blast at the Pingyu Coal & Electric mine occurred as workers were drilling a hole to release pressure from a gas build-up to decrease the risk of explosions, the state work safety administration said. State media said 70 rescuers had been sent to the site in Henan province after the early-morning explosion. 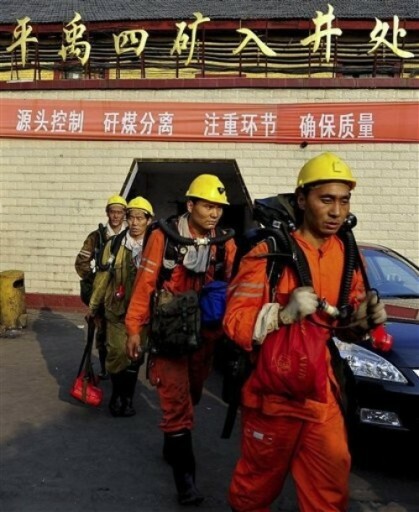 But hopes of rescuing the remaining trapped workers were fading as they were buried under coal and it could take three or four days to try to find them, said a report by China National Radio. Rescuers also faced dangerous gas levels and the risk of falling rocks as they worked their way into the mine pit. The explosion unleashed more than 2,500 tons of coal dust, an engineer for one of the mine’s parent companies, Du Bo, told the state-run Xinhua News Agency. Today two dozen police officers were stationed outside the mine’s main gate, preventing anyone from entering the site without authorisation. About 50 of the trapped miners’ friends and relatives quietly waited outside. The Chinese government has shut down more than 1,600 small, illegal coal mines this year as part of an effort to improve safety standards, the state-backed People’s Daily newspaper reported on Thursday. However, an unknown number of illegal mines still exist to profit from the fast-growing economy’s huge appetite for power. 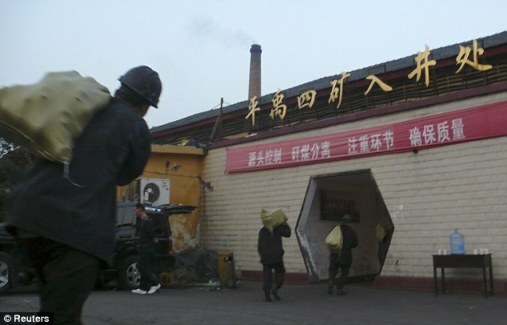 Another gas blast at the same mine two years ago killed 23 people, state media said. 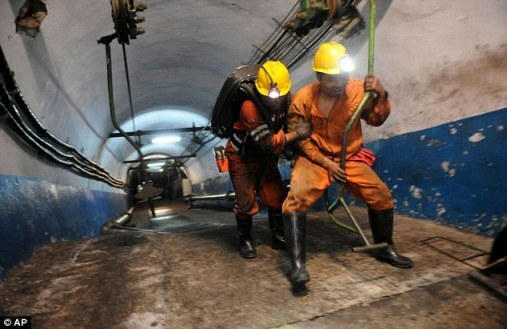 It was not clear if the miners were alive or how far underground they were trapped in the mine in the city of Yuzhou, about 430 miles south of Beijing. China Central Television’s news channel had an excited live broadcast from the mine yesterday, but it later did not mention the accident on the main TV evening news. The gas level inside the mine was 40 per cent, far higher than the normal level of about 1 per cent, state media said. The gas was not specified, but methane is a common cause of mine blasts and coal dust is explosive. China celebrated its own stunning mine rescue earlier this year, when 115 miners were pulled from a flooded mine in the northern province of Shanxi after more than a week underground. The miners survived by eating sawdust, tree bark, paper and even coal. Some strapped themselves to the walls of the shafts with their belts to avoid drowning while they slept. But it was a rare bright spot. At least 195 people were killed in mining accidents during August in Henan this year, according to the provincial coal mine safety bureau. China’s mines had 6,995 fatalities in 2002, the deadliest year on record whilst about 2,600 people were killed in accidents last years year. October 11, 2010. 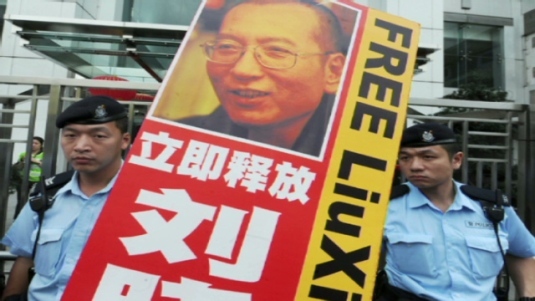 Beijing, China (KATAKAMI / CNN) — Liu Xia, the wife of Nobel Peace laureate and Chinese dissident Liu Xiaobo, remains under house arrest in Beijing and banned from talking to friends or media, his lawyer said. Shang Baojun also said he would try to push for Liu Xiaobo’s early release, but doubted it would happen. Liu Xia was taken to see her husband Saturday in a prison about 500 kilometers (311 miles) northeast of Beijing and told him of the honor. Despite allowing the brief meeting, Chinese authorities have cut off Liu Xia’s communications with the outside world since Friday night, prompting protests from human rights organizations. “It’s absolutely outrageous,” said Beth Schwanke, legislative counsel for the U.S.-based group Freedom Now. Liu Xia’s mobile phone service has been disconnected, but she resumed updating her Twitter account — albeit intermittently — after returning home Sunday. Her first tweet confirmed her home confinement and that police had broken her mobile phone. “We’ll talk about the future later,” she added, but has since been only retweeting others’ comments and articles. Since her husband won the peace prize, Liu Xia has gained several thousand new Twitter followers. News of the win continues to be heavily censored across Chinese media — in print, on air and online. The government has even blocked the peace prize section of the official Nobel Web site. Authorities pulled the plug on international television networks — including CNN — when the Nobel Committee announced the winner Friday, and CNN’s reports on Liu have remained blacked out. 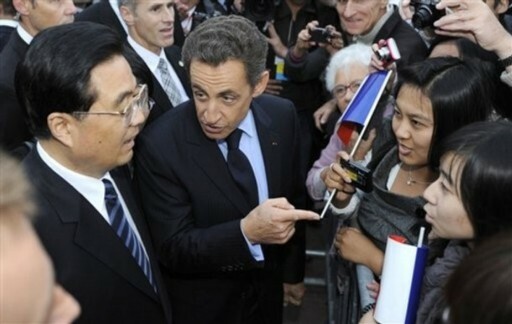 China’s state media have ratcheted up their rhetoric against the peace prize, after the foreign ministry called the choice of Liu a “blasphemy” to the prize. Most news portals carried a dispatch from the official Xinhua news agency, quoting a Russian commentator who criticized the prize as being a political tool of the West. China Daily, the official English-language newspaper, ran a commentary that said the Nobel decision was a Western plot to contain a rising China. Another article, with the scathing headline “A Chinese traitor who received a prize is still a Chinese traitor,” has circulated online. “I felt very moved, because the award was also for all the Chinese who pursue freedom and democracy in this country,” said activist lawyer Xu Zhiyong. He said police detained at least three people for celebrating Liu’s win, with several activists remaining under house arrest. 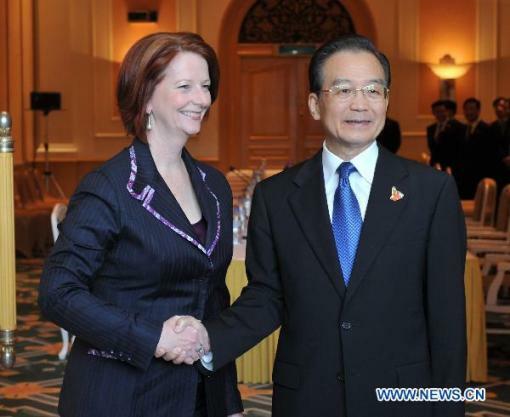 One of them is dissident Zhou Duo in Beijing. He told CNN that police officers began guarding his doors Saturday night after he returned from a dinner party in honor of Liu. 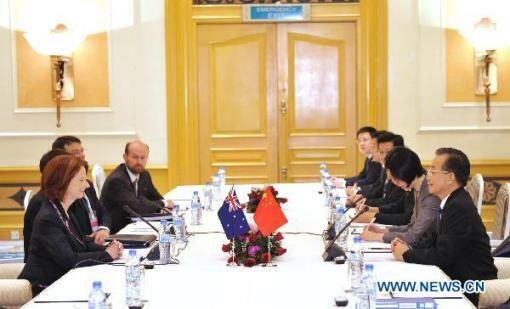 “It really shows the government’s total lack of self-confidence despite the appearance of their strength,” he said. Referring to the foreign ministry’s angry response, Zhou said it actually revealed Beijing’s deep emotional attachment to the Nobel prizes. “It’s only a blasphemy because they consider it sacred,” he said. Already, Chinese news Web sites have started reporting on the Nobel prize in economics — to be given out Monday — as if nothing happened last Friday.